Looking for a fun gift for your little one? Or a grandchild, niece, nephew, or friend’s little one? Here are 10 Christmas gift ideas for toddlers. Toys they will be excited about long after the first opening. Welcome! 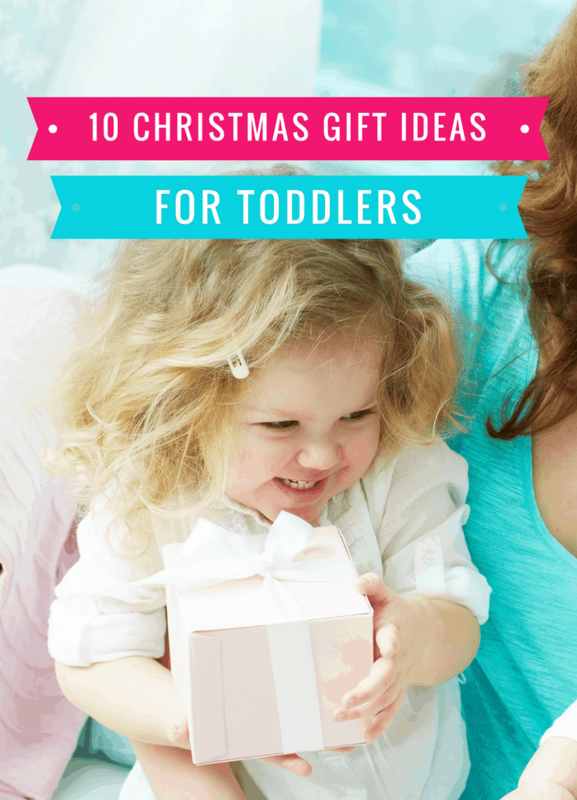 Today I’m sharing 10 Christmas gift ideas for toddlers. Sometimes it’s hard to know what they’ll be excited about and actually play with. Like the toy I bought for my son and nephew last Christmas. (It was the BeatBo that dances, moves, and records & remixes what they say — I think the volume was just too quiet. And maybe more exciting for a child that’s not quite at the walking stage.) They were excited about it as they opened it, but I’m pretty sure neither one has touched it much since. However, this list is filled with gift ideas that have kept my son entertained over and over again. Hope you enjoy! The most used gift we’ve given to my son thus far. 🙂 It’s a 2-in-1 meaning it can be easily converted from a trike to a bike. (Not a huge difference from the bike to the trike, you can see the trike setting below.) It’s awesome. If you follow me on Instagram, you may have seen this Paw Patrol bike helmet. Goes perfectly with the Chillafish Balance Bike above. Encourage them to be excited about wearing a bike helmet. They’ll love it, especially if they have a big sister or brother who already wears one. These magnet building tiles are so awesome. Our friends introduced us to them and my son couldn’t get enough. They’re so fun for a little one that loves to create, build and tinker. A future engineer. I’ve found you can’t really go wrong if you give a toddler something to push around and load up with other toys. Give this shopping cart loaded with toy grocery items. I love these lil’ quads because they are toddler-friendly, don’t take up a lot of room and they’re affordable. Prepare for pure joy and excitement when they open this one. Not to mention hours of fun. Sketch boards are great for solo play but also drawing and naming things together. This one has shape stampers and a ruler, but some have color sketches or include stencils. I hope you’re able to find something the toddler on your list will love in these 10 Christmas gift ideas for toddlers! If I missed one of your favorites, please add it in the comments below. Thanks for stopping by and happy holidays! Wow! My children especially loved the train table, shopping cart, twister track, and magnetic tiles (we discovered many through playdates and children’s museums). Great job putting these together. Thanks Carrie! Glad to hear your kids have loved a lot of these too. Our 17-month loves the shopping cart. I’m also excited to see they still make the magnetic sketch boards. That was one of the few toys my parents bought again as the first one eventually broke. And just as I finished writing that, I began reading your latest post on the The Gatlinburg Wildfire. How awful. Glad you are all ok. But sad to hear about the others affected. This is a great list. Having a toddler we can relate to many of these items! We have a ball pit that is inflatable, our son loves it. We also have a Strider bike for him to learn balance. He’s a wiz on that thing now and will probably be ready for pedals next year! It’s so much fun to find them gifts they really love. 🙂 Glad to hear some of these items are a hit with your son as well. And great that he will be ready for pedals soon. This age is so much fun. Thanks for the comment!